Turbines and IC Engines and Pumps Steam turbines :Classification, Principle of operation of Impulse and reaction turbines, Delaval’s turbine, Parson’s turbine. (No compounding of turbines). Gas turbines :Classification, Working principles and Operations of Open cycle and closed cycle gas turbines. Automation :Definition, types –Fixed, Programmable & Flexible automation, NC/ CNC machines: Basic elements with simple block diagrams, advantages and disadvantages. Refrigerants :properties of refrigerants, list of commonly used refrigerants. Refrigeration –Definitions – Refrigerating effect, Ton of Refrigeration, Ice making capacity, COP, Relative COP, unit of Refrigeration. Principle and working of vapor compression refrigeration and vapour absorption refrigeration: Principles and applications of air conditioners, Room air conditioner. 2. Metal removal process using Lathe, drilling, Milling Robotics and Automation. 3. Fair understanding of application and usage of various engineering materials. question from each module.from each module. 3. 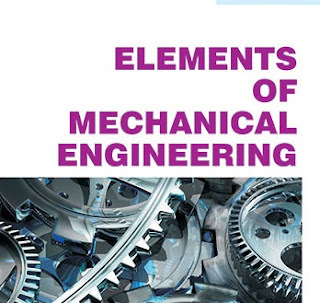 Pravin Kumar, “Basic Mechanical Engineering”, 2013 Edition, Pearson.